The portable printer continuous heat shrink labels in yellow are made of military-grade polyolefin. 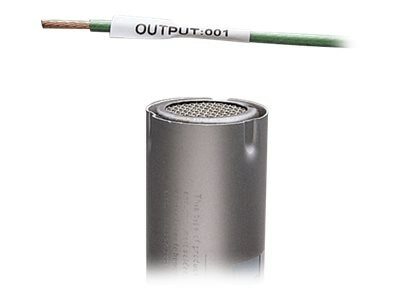 They measure 0.13" (3.1mm) diameter, 8' (2.4m) length, and 0.25" (6.4mm) width and have a wide range of 22 - 18 AWG. The fast-loading P1 label cassette includes both label material and ribbon for easy label changing.